John Green’s Turtles All the Way Down, reviewed. John Green is telling a story, and the story is telling him. Photo illustration by Lisa Larson-Walker. Photo by Shane Rounce/Unsplash. 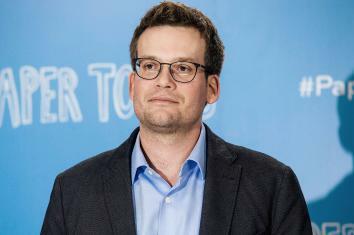 The opening sentence of John Green’s new book begins, “At the time I first realized I might be fictional,” a suggestion that the reader has picked up some kind of YA Borges-style metafiction, a work that calls attention to its own made-up status. Turtles All the Way Down turns out not to be that sort of clever, tricky book—not exactly, and not until very late in the game. I can’t be more specific without reaping the whirlwind of spoilerphobia, but I’d point out that Green’s work is not as unsophisticated and earnest as it’s often taken to be. His novels, including his 2012 best-seller, The Fault in Our Stars, are deceptively light-handed, remarkably seamless blends of themes and tones that would ordinarily clash with each other. Turtles is a confectionary romantic comedy and a tear-jerker and a detective story and a high school friendship drama and a problem novel (the term used for young adult fiction illuminating a social issue like drug abuse or teen pregnancy). Its narrator may not actually be aware that she’s the imaginary creation of a man named John Green, but she knows all too well how a story has the power to hijack your life. Still, when not stressed out, Aza is reasonably functional and up for participating in Daisy’s schemes. 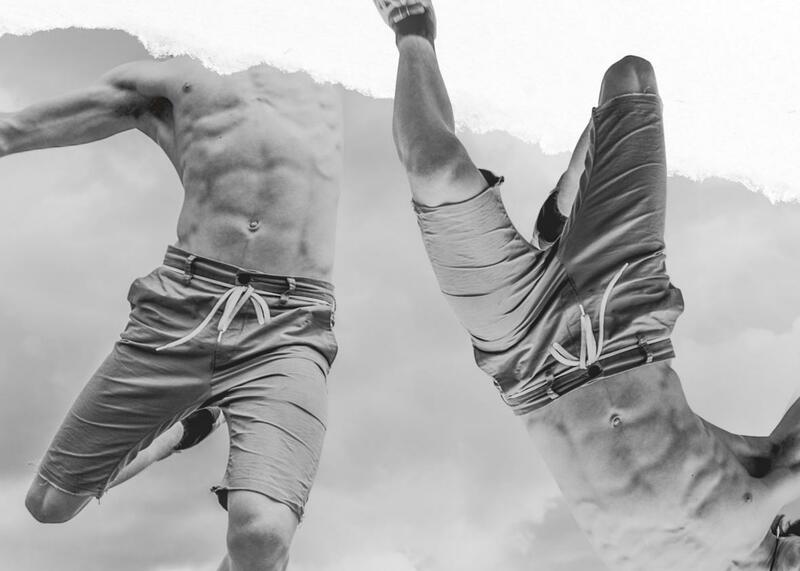 The latest is a plan for Aza to revive an old friendship with Davis Pickett, a boy she met at age 11 in “Sad Camp,” a getaway for kids who have lost a parent (Aza her father, Davis his mother). Davis’ dad, a shady billionaire, has recently done a runner, just as he was about to become the defendant in several lawsuits. The police are investigating his disappearance, and his company offers a $100,000 reward for information leading to his location. Daisy wants to capitalize on Aza’s onetime connection to Davis to land the reward. This leads to some I Love Lucy–worthy shenanigans involving a fake canoe shipwreck on the shores of the Pickett estate, a gambit transparent to everyone but still effective: Davis comes back into Aza’s life and a romance buds. The first quarter or so of Turtles All the Way Down seems to be shaping up into a teen detective yarn, frothy with just enough heavy themes to keep it from wafting away in a strong breeze. Aza’s last name nods to one famous literary detective, and her missing parent and beloved car (a Toyota Corolla instead of a blue roadster) allude to another. She will later acknowledge the expectation that her disorder will somehow give her an edge in the sleuthing department, just like in Monk. There are a few amusing scenes depicting just how much a clever teenager can learn about someone’s life by following a trail of clues through the back alleyways of social media. These take place in Aza and Daisy’s favorite hangout, which in a lesser novel would be a quirky neighborhood coffeehouse with an eccentric but lovable proprietor. Instead, Green makes it Applebee’s, where the friends park in a booth all afternoon with their smartphones and laptops and annoy the grumpy waitress by redeeming coupon after coupon. Instead of continuing in this Scooby-Doo vein, though, Turtles All the Way Down veers into the complications of Aza and Davis’ romance. Each has issues: He can’t stop wondering if everyone who befriends him has an ulterior motive involving his father’s money, but hers are worse. She can’t kiss Davis without spiraling into anxiety that his bacteria will invade her body and “permanently colonize” it … “eighty million of them, breeding and growing and joining my bacteria and producing God knows what.” Davis is surprisingly patient and understanding about this. (I can only hope for the sake of the world’s straight teenage girls that there are more than a handful of teenage boys out there who are as tender and self-aware as Green’s boys are.) Nevertheless, the challenge of becoming intimate with someone new sends Aza pitching into a psychic freefall. Much of Turtles All the Way Down is devoted to depicting this terrifying state, in which Aza’s own thoughts become cruel and implacable invaders. Even the people she’s closest to—Daisy and her mother—have a hard time understanding her inability to master them. Green depicts the peak of this crisis as a ferocious dialogue between what’s left of Aza’s sanity and a demented alter ego so freaked out about contamination that it compels her to drink hand sanitizer. John Green poses at a photocall for the film Paper Towns in central London on June 18, 2015. Aza has a therapist who’s prescribed medication, but she only takes it intermittently, troubled by the idea of accepting a dependence on pills. That’s the essence of Aza’s fear: not disease, but the existential dread of being taken over by outside forces, of not being her own person. And of course, she isn’t; she’s Green’s, and surely has been afflicted with many of his own obsessions. “I think I might be fictional,” Aza tells her therapist at one point. “I don’t control my thoughts, so they’re not really mine.” Her therapist responds by quoting Ulysses—everyone in Green’s novels is impressively well-read—the scene where Molly Bloom begs her author to “let me up out of this,” the condition of being wholly created by someone else. If Green’s fiction has a fault, it’s the way his characters’ thoughts and dialogue lean so hard toward the aphoristic, neat if melancholy formulations that seem purpose-built for excerption on a Goodreads favorite-quotes-from page. “Every loss is unprecedented,” Aza thinks, with a sense of perspective that’s distinctly unadolescent. “You can’t ever know someone else’s hurt, not really.” But in Turtles All the Way Down, he turns even this propensity toward less expository ends. The characters in the novel keep repeating a certain saying along the lines of “Sometimes you think you’re spending money, but all along the money is spending you,” a motto also applied to power. Eventually, the reader comes to see that even though she never quite states it, this is also Aza’s fear, and by extension Green’s: That she thinks she is telling a story, but all along the story is telling her. Green has said that after the publication and tremendous success of The Fault in Our Stars, he suffered a relapse of his mental illness. Writing had previously helped him, getting him out of his own head and, presumably, providing him with a sense of control, at least over his own fictional creations. But as he became convinced he would never produce a follow-up to his monster hit, the thing that had once eased his fears had become itself a source of anxiety. But to have a great success is to be caught up in a narrative with a mind of its own, determined by countless other people you don’t know and will never meet. Many an author has found the task of managing a public profile confounding and distasteful, especially after spending so much time in imaginary worlds over which they have absolute rule. Green created Aza, endowing her with his own wit, heart, and terrors, and perhaps in her dreams she appeals to him just as Molly pleaded with Joyce for escape. He told her story, but he never forgets that she is also telling his. Turtles All the Way Down by John Green. Dutton Books for Young Readers.